I have always found quotes a fruitful source of inspiration. There’s something awe-inspiring about reading someone else’s words and realizing that the same things that resonate within you are also a source of wonder to someone else. I can still remember the lines that have had the greatest impact on me, that have found a home inside my very character, because the best quotes inspire new ideas, new words, and – in my case – a new business. Although language had me in its grasp long before then, the real genesis of Crystal Clear Resources (a name that stresses clarity, which is dear to my heart, and abbreviates as CCR – one of my favorite bands) began in graduate school. I was studying Greek, Latin and Classical Studies at Bryn Mawr College and I spent every day reading, writing, translating, and thinking more deeply than I had ever been encouraged to do before. With each new year I also learned new –ologies and –isms, ideas and theories that wormed their way into Classics and were often expressed with unnecessarily complicated and technical vocabulary, even though the ideas were often quite elegantly simple. As anyone enmeshed deeply in a discipline will know, each field develops its own language, its own set of terms that are meaningful within the discipline, but sound like unintelligible gibberish to anyone else. Classics was far from the exception to this phenomenon. The nexus of the problem became apparent when individuals (myself included) attempted to explain theories to people who did not eat, sleep, and breathe Ancient Greek and Latin. I never realized before then how many words we would slip into conversation in Ancient Greek, because they didn’t translate well into English, or how many names we would mention without context (you wouldn’t be surprised how often Boethius does not come up in standard conversation). In short, even though I was excited about the new ideas that I was learning, my technical vocabulary made it difficult to provoke the same excitement in people around me. Not only did this make sharing ideas difficult, it also felt acutely isolating. I had been living inside of my Master’s thesis for so long that I was oblivious to the world going on outside of it (there were people that didn’t care about the last two lines of Sophocles’ Electra??). So, I took a deep breath, reoriented my thoughts, and I tried again. This time, as if by magic, everything clicked into place. 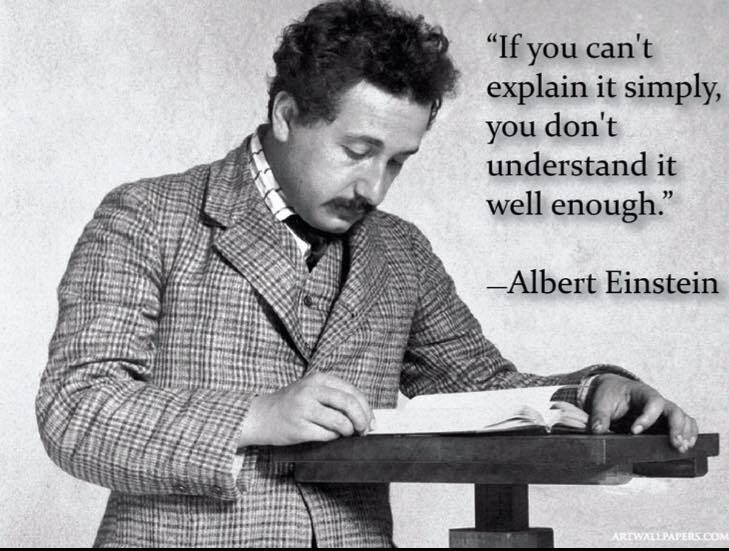 For the rest of my graduate studies I practiced and experimented with how to explain complicated subjects to other people and how to make ideas more easily approachable. This was how, in graduate school, I found my true passion, although it wasn’t the one I had been expecting to find. I had thought that it was language, but I discovered that it was actually the interaction between language and its audience. I realized that I am passionate about using language to facilitate understanding and engagement with complicated or technical ideas, as well as using it to transpose excitement or enthusiasm about an idea to someone else. Language for me, from then on, wasn’t just about transmitting information, it was about communicating effectively. With this renewed enthusiasm in mind, I completed graduate school and I started Crystal Clear Resources, a company founded upon the passion I found at Bryn Mawr and based on the principle that even the most complicated ideas could be made perfectly easy to understand. So here we are, well over a year later, and that quote by Albert Einstein still resonates within me and within my company. At Crystal Clear Resources we are a team of communicators, a company that uses writing, editing, and translation as tools to achieve better understanding. We believe that, when ideas are expressed clearly, people can engage with them, can become inspired, and can make them better. We have a vision for the future of language – and it is crystal clear.